The O.W.A. team is a unique group of dive professionals. 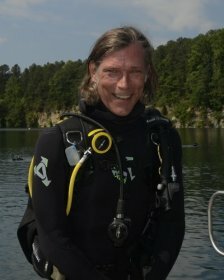 Led by Joe Gaydeski with nearly 20 years of professional dive experience. Our instructors are dedicated, consistant, friendly, and caring to name just a few attributes. They are held to exceed the highest standards in training. Additionally they are all CPR, First Aid for Aquatics, AED, Oxygen Provider, and fully Lifeguard certified. This is a standard at O.W.A. that is not usual in our profession. His inspiration came from watching Jacques Cousteau specials, and James Bond Movies. Joe was fascinated by “Innerspace”! 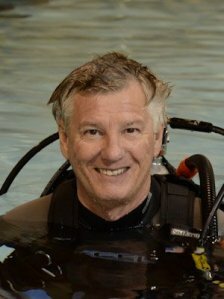 Joe’s interest lead him to getting certified after college in 1990, then started working in the dive industry just two months after receiving certification in the Charlotte area. He opened his own full service dive shop Open Water Adventures in 1996. Joe is our in-house Instructor Certifier, making OWA Charlotte’s Platinum SSI Facility. Some of his past dive destinations include Palm Beach, the Carribean, Hawaii, Belize, Cancun, Cayman Brac Bimini, Palau, Cozumel, Galapagos, Wrecks off the Carolina Coast, and South and Central Florida. Joe is very enthusiastic about teaching and sharing his love for the sport. He is also an avid Nature Photographer, and loves sharing with others his passion for shooting pictures. Joe teaches an underwater photography class that he has designed himself. Respect for the environment and good buoyancy control are as important as technical skill and composition. Photography is like hunting. You are always looking for the next subject to shoot, but your subject gets to live another day! Conservation and preservation of the Ocean Realm and all its creatures is every divers responsibility. Heather began her dive career in February of 1999. 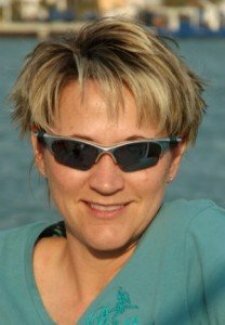 She is an Open Water Instructor and Scuba Ranger Instructor, and Joe Gaydeski’s wife. Heather’s special interests include underwater photography and working with anxious or uncertain students. She especially loves the flow and movement of videography. Heather also owns a Family Photography Studio called Bell Photography, which is located only 100 yards from Open Water Adventures. Heather and Joe have been fortunate to lead divers all over the World. Some of the beautiful places she has traveled to include: Palau, Thailand, Hawaii, Cozumel, Belize, Roatan, Palm Beach, The Bahamas, and the Carolina Coast. 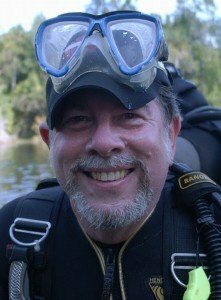 Ken has been with Open Water Adventures almost since the beginning. He is currently in charge of our service department, however he is a talented individual who has over the years functioned as a computer consultant, electrician, and general fix it man. You could say he is definitely a ‘Jack of all trades’ and an asset to our team. Ken and his assistants keep all of your life support equipment working to factory standards. They also keep our entire training and rental fleet serviced and working reliably. Ken also enjoys photography and has recently gone digital. So when he isn’t repairing and servicing your equipment, you will find him underwater or topside with his camera in hand. 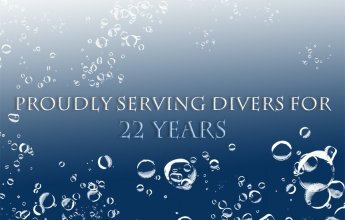 Melissa has been involved in aquatics for more than a decade. It seems that it is in her blood. She has been in charge of the OWA swim school at Open Water Adventures for more than 5 years and has taken the program to a new level. The program has grown steadily since she became the aquatics director, and most of our new customers come from referal. She enjoys teaching children of all ages and also has a passion for teaching adults in a private setting. In addition to the Swim School, Melissa has also been the coordinator for our “Way Cool Kids Club” called Scuba Rangers. She schedules class times and functions and keeps the Scuba Ranger Instructors organized. She really enjoys the water and her enthusiasm shows. 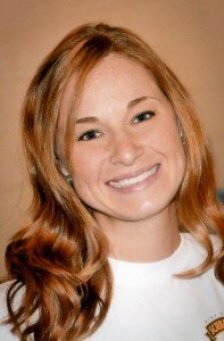 Melissa also Teaches Lifeguarding Courses, CPR , First Aid, and AED utilizing the Red Cross Program. These programs are usually held in the spring and are posted on the OWA calendar. Safety, comfort, and skills for life!! Zan Hefner Joined Open Water Adventures as Store Manager June of 2014. 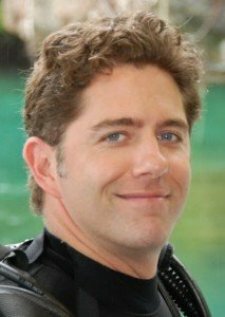 Zan worked in the Virgin Islands in St Thomas for 12 years with Chris Sawyer/Red Hook Dive Center as a U.S. Coast Guard licensed captain and Dive Instructor and managed the dive operations for Caneel Bay on St. John. After 12 great years he decided to move back to Charlotte to be with family and friends. He will miss his friends in the islands, but he is only a short plane flight away, and from time to time he will probably lead groups of divers from Charlotte on excursions back to his home away from home in St Thomas. We are proud to have Zan on our Team! Randall Hannah first visited Open Water Adventures with a desire to learn Scuba, however he first needed to work on sharpening his swimming skills. He spent a year training with Melissa in our pool to prepare himself. Randall then enrolled in our Open Water Diver program, and from there the rest is history. Randall is currently one of our Open Water Instructors. His background is in banking. He spent 34 years working for Wachovia right on into the Wells Fargo transition. Randall is currently retired and we are doing our best to keep him busy around the Dive Center. Not so busy however that he can’t enjoy his retirement and spend time with his family. You will find that he is a very relaxed and patient instructor.